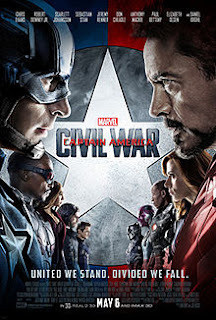 Watching “Captain America: Civil War” is akin to watching a big budget version of a talk between a couple of parents and their kids that is long overdue. I’ve now been watching these movies for eight years. I have seen more superheroes grace the screen than I ever thought I’d see. By that same token those supposed heroes have blown up more things than I could have ever imagined possible, and if you’ve been reading these reviews of mine for the past eight years you might recall I’ve made reoccurring comments revolving around the destruction that is left in the path of them saving people. I mean, yeah, I suppose it IS better to save the world than to worry about the several innocent people who are going to die along the way, but who gets to make that call?! Does anyone even have the right to make it? Well, Uncle Sam is finally attempting to answer that question. While the US government would like to acknowledge all the good things the Avengers have done they are going to put their foot down and lay some new ground rules. 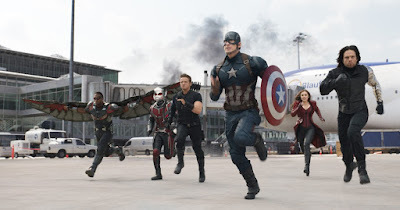 The deal is as follows: The Avengers go on a registered government list, and they have the freedom to go into action whenever Uncle Sam gives them the go ahead. This is a plan that (like most government plans) splits old friends on the issue. 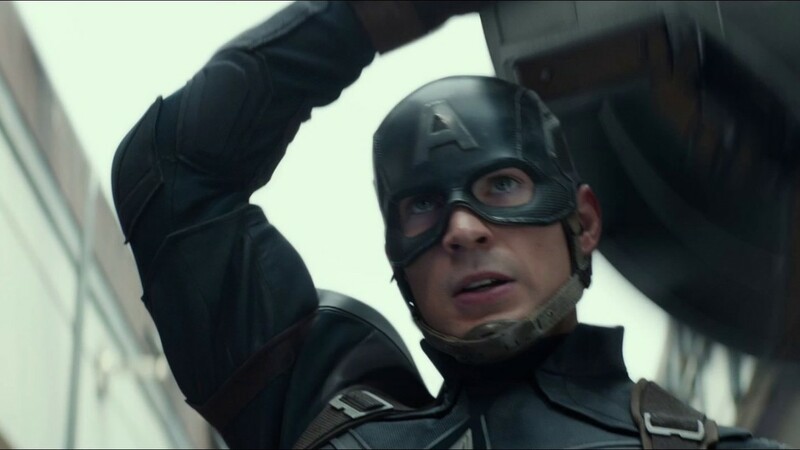 Steve Rogers (Chris Evans) always fought for freedom as Captain America, and as such he is suspicious of any government that wants to put restrictions on the freedom of others. Tony Stark (Robert Downey, Jr.) has much less reservations about getting the government involved in their affairs. He is fully aware of the damage the Avengers have caused over the years. He is aware of the people who have died. He knows better than anyone that superheroes can just as easily become supervillains if you give them too much leg room. What’s interesting about this setup is how non-cartoonish it feels. This is a premise that is about something. It puts a dilemma in front of everyone’s face, spells it out in a way where they all acknowledge there is a problem, and then gives everyone different opinions on what the best course of action is to fix it. While the good old Captain gets to claim this movie as his own, it really works well because of his interaction with Stark’s alter ego Iron Man. These are two big personalities and both men are dedicated to their ideals. Everyone has something to gain and something to lose regardless what happens with the government legislation, so it’s not surprising heroes from all over the world join forces and take sides. The conflict is so important that Spider-Man even swung out of his contract with Sony to join in the fight (ho ho). It’s almost like watching Republicans battle Democrats in the most fun way possible. In many ways this is the most sophisticated movie to come from Marvel Studios. It doesn’t reach the heights of “The Dark Knight,” “Spider-Man 2,” or “X-Men: Days of Futures Past” (those last two being licensed productions as opposed to in-house), but it is a much needed step in the right direction. I want all the fanboys to take note here: This is what a real movie actually looks like! There are real conflicts, you can take the characters seriously, and the actors are given much more to do than just jump around in front of a green screen shouting catch phrases. In more ways than one, this is a progressive movie for a studio that has largely been relying on stock scripts these last several years. With that said, the Marvel Cinematic Universe still isn’t ready for the Academy Awards just yet. There are still lots of contrived moments, a few characters who are one dimensional, and a couple of fight sequences that continue long after they have stopped being fun to watch (and in some instances stop the story dead in its tracks). There is also a sense that the movie chickens out with the ending, as the screenplay seemed destined to end on a bittersweet note until someone mentioned that there are still sequels that need to be made. Still, after the disaster that was “Avengers: Age of Ultron,” I am happy to say that “Captain America: Civil War” is a return to form and a step towards these movies being taken seriously once again (though hopefully there will still be a sense of fun to be had). 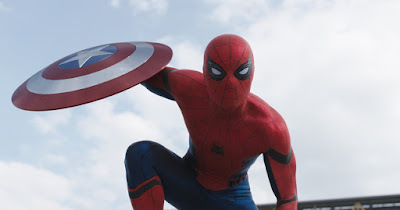 Parents, there is the usual amount of superhero violence as well as some brief language. Recommended for ages 12 and up.